Valeant Pharmaceuticals’ latest fix reinforces its challenges. The drug company has appointed three executives to take the reins while Chief Executive Mike Pearson is on medical leave and three board members to oversee and guide them. The double triumvirate shows how reliant on one man Valeant has become. Pearson, who has been hospitalized with a serious case of pneumonia, is the architect of the company’s serial-acquisitions strategy. This business model and Pearson’s leadership have come under intense scrutiny. Critics have attacked the company’s accounting, its stifling $30 billion debt load and its price hikes on acquired drugs. As a result, Valeant’s market capitalization has plummeted by 60 percent since August. This loss of faith by investors has forced the company to switch to integrating businesses, instead of buying new ones, and paying off debt. The company’s prompt action in addressing Pearson’s illness by disclosing and appointing interim leadership is commendable. And there’s a good chance Pearson could be back shortly. But the structure is convoluted. General Counsel Robert Chai-Onn, company Group Chairman Ari Kellen and Chief Financial Officer Robert Rosiello will share management responsibilities in a newly created Office of the Chief Executive Officer. The board has also created a committee to “oversee and support” the office of the CEO. This, too, comprises three members – lead independent director Robert Ingram, president of big stakeholder ValueAct Capital Mason Morfit, and former Chief Financial Officer Howard Schiller. The company says this reflects Valeant’s non-traditional organizational philosophy. It relies on what it says is a deep bench of qualified executives working in areas of expertise rather than a traditional hierarchy with roles such as a chief operating officer. Chai-Onn has been at Valeant for a decade; Rosiello advised the company for eight years before joining the firm as finance boss. Moreover, the additional board oversight could augur better corporate governance if it leads to the company eventually separating the roles of chairman and chief executive. Investors are more worried that this structure reflects the fact Pearson can’t be replaced easily, and the risk of executive and board infighting. These fears sent the stock down 10 percent on Monday morning. More turmoil is the last thing Valeant needs. 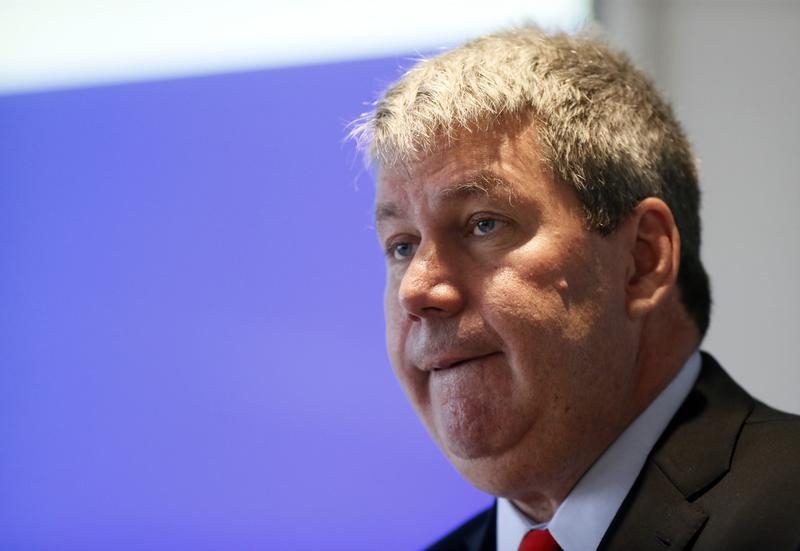 Valeant Pharmaceuticals announced on Dec. 28 that Michael Pearson is on a medical leave of absence. The company’s chief executive officer and chairman is suffering from a severe case of pneumonia and has been hospitalized. The board of directors has created an Office of the Chief Executive Officer, which will assume his duties in an interim capacity. It is composed of General Counsel Robert Chai-Onn, company Group Chairman Ari Kellen, and Chief Financial Officer Robert Rosiello. In addition, the board created a committee to oversee and support the Office of the CEO. It is composed of lead independent director Robert Ingram, board member and ValueAct Capital President Mason Morfit, and Valeant’s former chief financial officer, Howard Schiller.